LET YOUR PROPERTY WITH US – GUARANTEED RENTS; COMPREHENSIVE PROPERTY MANAGEMENT. LED BY CAMBRIDGE CITY COUNCIL. Town Hall Lettings offers you guaranteed rent, free damage cover and an excellent, personalised property management service. Here are five reasons to let with us. Letting a property can be a risky business. Our deal means that you receive a guaranteed payment, in advance, for the duration of your contract with us – even during any void periods. Because we are a not-for-profit service, we look to pay out a competitive guaranteed monthly sum, whilst charging tenants a rent that they can afford. A unique feature of our service is the work we do with our tenants. Every tenant we place in your property has been vetted to make sure that they understand their responsibilities and the high standard of behaviour we expect for them. We know that people can find themselves in need of accommodation for all kinds of reasons, such as relationship breakdown – we exist to provide good quality rooms for people who need them. We aim to provide a hassle-free, comprehensive service to landlords. Whether it’s advice on property standards, drawing up tenancy agreements, finding tradespeople to carry out repairs – whatever the problem, we’re here to help. Our service enables you to let your property with fewer hassles and less worry. Whilst we take every care to find tenants who are going to look after your property, we know that from time to time accidents do happen. With this in mind, we will set aside a deposit bond equal to one month’s guaranteed rent, which can be used to cover repairs at the end of the tenancy. We work with a competitive commercial property maintenance service and can enlist their services if this helps take the hassle out of managing your property. There are no unexpected surprises with Town Hall Lettings. We won’t charge you a management fee, or ‘set up’ costs, or a fee for inspecting the property. WE don’t charge for making an inventory. We won’t bill you a tenancy renewal fee every six or twelve months, and you won’t ever find an unspecified administration fee on your statement of account. We do our business in a way that is fair, transparent, and gives both landlord and tenant a great deal. 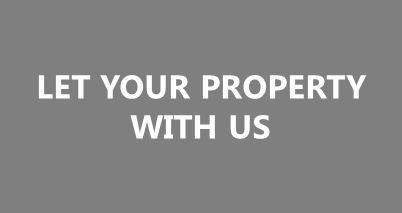 If you have a good-quality, local property and you’re interested in our service then contact us today.